80s songs don't get much cheesier or more camp than this! 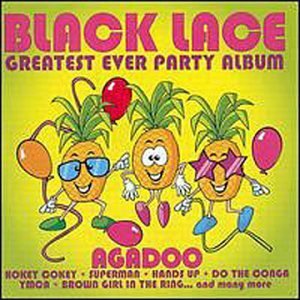 Black Lace released a number of successful novelty party records during the 80s, after representing the United Kingdom in the 1979 Eurovision Song Contest. They didn't win, but they managed a respectable seventh place with their song Mary Ann. "Agadoo" was an irritating novelty song which entered the UK singles chart at No.86 on 20th May 1984. The single reached No.2 on 12th August for two weeks, being held off the top spot by George Michael's "Careless Whisper" - thank you George! 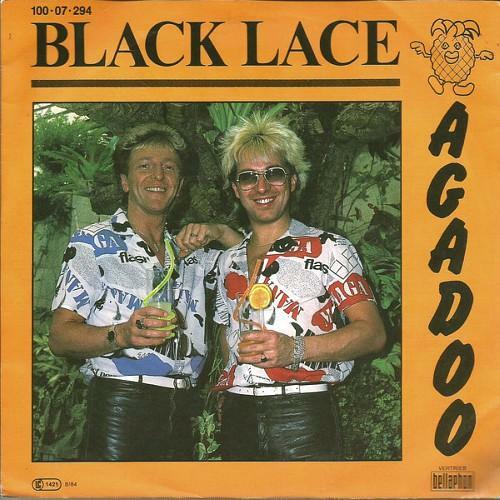 "Agadoo" spent no less than 30 weeks in the top 75. Amazingly, it went on to become the eighth best-selling single of 1984! The follow-up single to Agadoo reached #10 in the UK. It was yet another irritating party song that forced me into dancing like an idiot at the 80s school disco. It was written by Peter Morris, who also wrote the Black Lace's Eurovision entry "Mary Ann." The duo's UK album Party Party sold over 650,0000 copies within the first five weeks of release, reaching double platinum status - Heaven knows I'm miserable now!